Ford trucks have been commercially available in the Australian market for some time now and there are many available models on the road today. This also means that due to normal wear and tear, it is inevitable that Ford trucks can become damaged and eventually lead to become junk, scrap and unused. If you are one of the Ford truck owners who feel that they should get rid of their scrap Ford trucks, then you should know who to contact. Ford Truck Wreckers Melbourne is the ultimate solution to your Ford truck that need removal and wrecking service. 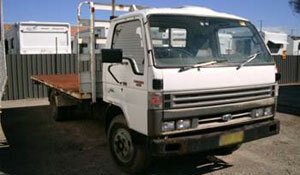 We buy and pay cash for Ford trucks in Melbourne. We have been wrecking and dismantling scrap Ford trucks for more than 10 years now. We cater to customers within the Melbourne or Geelong or Ballarat City area. So don’t wait until your truck have $0 value scrap, Sell it today and get a good market price for your trucks. We do not charge a penny extra. Free Towing – Same day Pickup & No Major paperwork’s. 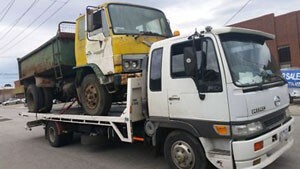 No need to look for a removal service and pay for its expenses because we will come to your location anywhere you are in the Melbourne, Geelong or Ballarat City region and we will pay you cash on the spot and help you with the removal of your junk, scrap or unwanted Ford truck. It is as simple as that. Imagine getting cash while you sit and drink your cup of tea – that is absolutely hassle-free service at its finest. So why wait and waste away precious storage space when you can get cash for your old Ford truck? Call us now and get a free non-obligatory quote for your old, unwanted, damaged, and scrap Ford truck. In fact we can pay cash of up to $13,999 for your old, used or damaged Ford truck and we offer free removal service from your location to our collection area. We also care for the environment so you are aware that our process of dismantling and wrecking are environmentally safe. We don’t do anything that will hurt or harm Mother Nature. Sell Junk Ford Truck of any age, year, condition, model – one of the best reason why choose us to help you with getting rid of your scrap Ford truck is because we offer the best price! No other junk Ford truck wreckers can top that. We are aware that one of the main factors of deciding to get rid of your junk, old, unwanted or damaged Ford trucks is the price. Since we are authorized, you are assured that our entire wrecking and dismantling process are conducted by safety professionals and are in compliance with the Australian safety standards. We wreck and dismantle each and every truck in such a way that utilization of reusable parts should be possible. The parts or scrap body which can’t be reusable. We dispose it for scrap metal after recycling process. That’s are some reasons that we give more cash as compared to our competitors. 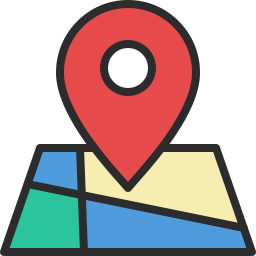 Find out more about our service areas & Locations.